These days, quinoa is well known as a sub-in for other grains, like rice, or starchy elements, like noodles. 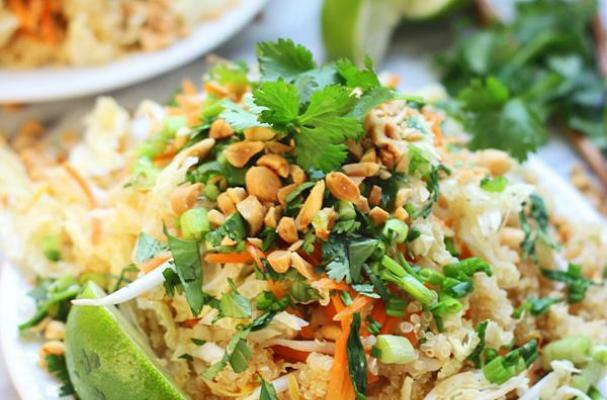 Cooking for Keeps created a visually stunning recipe for pad thai that uses quinoa in place of noodles. You still get the traditional pad thai toppings and flavors, like crunchy peanut and mellow tamarind paste.